The VW Passat is a refined midsize sedan, delivering the kind of comfort and spaciousness that makes it a great choice for families. This 2018 Volkswagen Passat review is brought to you by the team at Volkswagen SouthTowne and will provide all the information drivers of West Valley, Murray City, and Orem need to decide if this sedan is the right choice for you. Let’s discover what’s inside the cabin and under the hood! Looking at the Volkswagen Passat interior, you’ll find seating for five on standard cloth upholstery. With over three feet of legroom for rear-seat passengers, you’re sure to have happy kids in the car for years, even as they grow tall. In addition, you’ll have plenty of room to stretch out after work, with 42.4 inches of front legroom at your disposal. Thanks to that space, your legs won’t feel cramped during those long road trips with your family. There’s plenty of standard and available comfort features in the cabin to keep everyone comfortable. Some available options include dual-zone automatic climate control, and heated front and rear seats. The overall cabin feels spacious and upscale. The VW Passat offers two different engines, so you can choose the one with the power that you need for your family’s road trips. The base engine is a 2.0L turbo that produces 174 horsepower and 184 lb-ft of torque. On top of that, the optional 3.6L V6 motor adds to those already-impressive Volkswagen Passat specs and delivers more speed to your drive, churning out 280 horsepower and 258 lb-ft of torque. Both engines come paired with a 6-speed automatic transmission. Choose the DSG transmission, and your gear shift will come equipped with the setting you need to drive in Tiptronic® mode, so you can shift manually for a sporty feeling of control. Looking to up the ante on your sedan’s performance even further? Well, if so, try out the available paddle shifters located on the steering wheel. Thanks to these handy controls, you’ll have even more command over how your car moves over the road. When it comes to your vehicle’s efficiency, you want to be sure that you avoid filling up on gas too often. 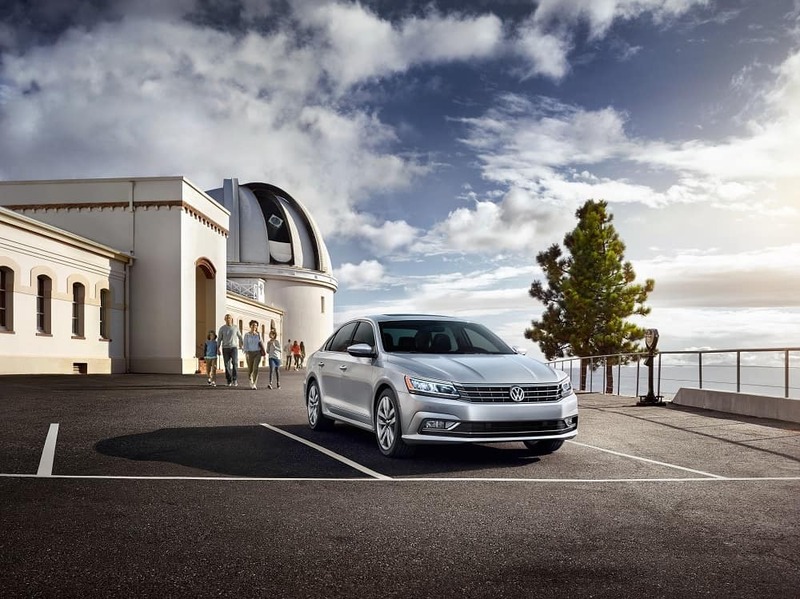 Fortunately, the 2018 VW Passat provides you with plenty of fuel-conserving prowess with its standard engine, which serves up an EPA-estimated 25 MPG city and an EPA-estimated 36 MPG highway1. Plus, the available V6 motor keeps you away from the gas station with its EPA-estimated 19 MPG city and its EPA-estimated 28 MPG highway2. That way, you’ll know that your automobile aligns with your environmentally friendly lifestyle. Stability is the key to a confident drive. That’s why this sedan offers up plenty of reliability by arming its exterior with sturdy materials, all which are designed to keep your family safe and secure. For example, the Rear Suspension features a Multilink design with coil springs that add extra responsiveness to your drive and provide you with some athleticism when confronting those curvaceous back roads. On top of that, the standard Electronic Stability Control system keeps you glued to the asphalt at all times. That way, you can traverse your route knowing that your vehicle is designed to remain stable in any situation. Finally, the Anti-Lock Braking System comes standard in every model of the VW Passat, so that you can quickly stop your automobile in emergency situations. With this safety-boosting amenity, you won’t have to worry about your brakes locking up while you’re attempting to avoid hitting the car in front of you. Of course, you can’t forget to adorn your sleek sedan with a few additional accessories to keep it looking like new for years to come. Luckily, you’re welcome to choose from a large selection of VW parts that’ll preserve that immaculately clean cabin, like MojoMats®. These protective mats will keep the interior of your Volkswagen Passat free from grit and grime, and even offer up easy cleanability. To make your ride even more convenient, choose an accessory like the Shopping Bag Hook, which allows you to hang your groceries and keep those bags from rolling around your back seats. When it’s not in use, simply flip up the hook to make room for other objects in the trunk. The 2018 VW Passat has received a 5-Star Overall Safety Rating from the National Highway Traffic Safety Administration (NHTSA). In the event of a collision, the Intelligent Crash Response System will automatically turn off the fuel pump, unlock the doors, and activate the hazard lights, helping you react to the situation right away. Additionally, you’ll get the Automatic Post-Collision Braking System, which can bring your vehicle to a stop after a collision, helping to minimize the chances of additional impacts. The Tire Pressure Monitoring System also ensures that your car’s tires are properly inflated at all times, which helps to maintain traction and control of the vehicle. This midsize sedan offers everything that your family needs in a comfortable, spacious cabin. If you’d like to try out the car for yourself, contact Volkswagen SouthTowne to schedule a test drive. We’ll meet with you to tell you even more about the car, so that you can face your next journey near West Valley, Murray City, and Orem behind the wheel. 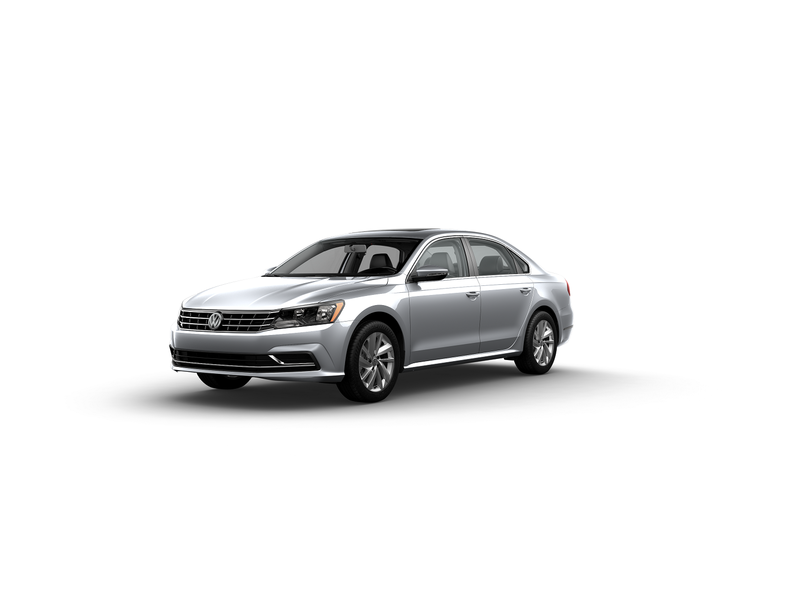 219 city/28 highway MPG (2018 VW Passat 3.6L, 6-speed automatic transmission). EPA estimates. Your mileage will vary and depends on several factors, including your driving habits and vehicle condition.